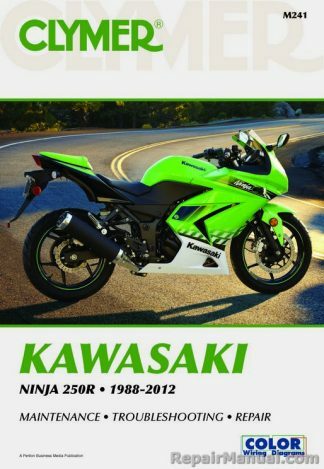 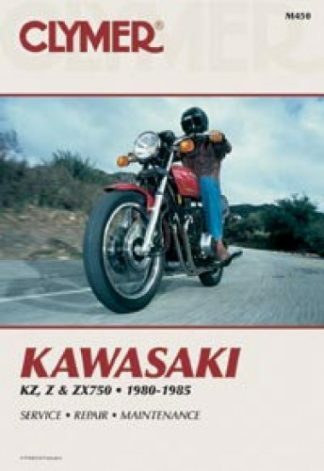 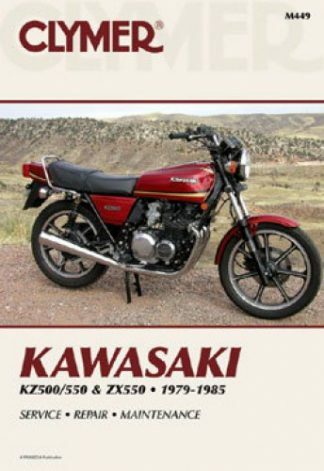 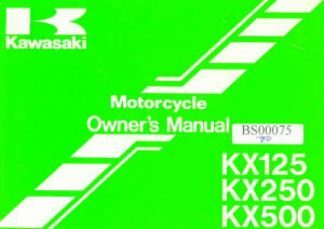 This Used 1991 Kawasaki KX125-H2, KX250-H2, and KX500-E3 Motorcycle Owners Manual should be read before starting your vehicle so that you will be thoroughly familiar with the proper operation of your vehicles controls, its features, capabilities, and limitations. This manual offers many safe riding tips. 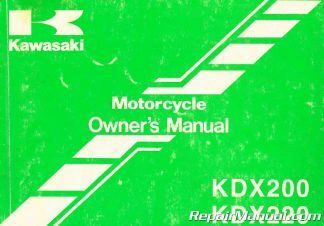 To ensure a long, trouble-free life for your ATV, give it the proper care and maintenance described in this manual. 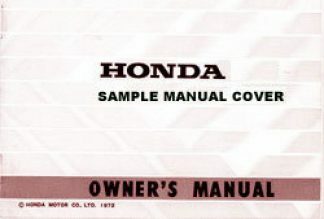 SPECIFICATIONS, SERIAL NUMBER LOCATIONS, LOCATION OF LABELS, LOCATION OF PARTS, LOADING INFORMATION, GENERAL INFORMATION, Power Outlet Connector, Auxiliary Electrical Accessory Connector, Multifunction Meter, Speedometer, Fuel Level Gauge Symbol, Coolant Temperature Warning Symbol, Clock, Odometer, Hour Meter, Trip Meter, 2WD/4WD Indicator Light, Neutral, Reverse, Oil Pressure Warning Symbol, Belt Check Indicator Light, Brake Levers and Pedal, Brake Lever Lock (Parking Brake), Front and Rear Carriers, Fuel Tank, Filling the Tank, Fuel Requirements, Fuel Tap, Ignition Switch, Left Handlebar Switches, Light/Dimmer Switch, Engine Stop Switch, Reverse Power Assist Switch (Override), Starter Button, Choke Lever, Recoil Starter, Shift Lever, High Gear, Low Gear, Reverse Gear, Variable Front Differential Control Lever, Selectable 2WD/4WD Shift Switch, Throttle Lever, Throttle Limiter, Seat, Storage Area, Tool Kit, Trailer Hitch Bracket, Winch Bracket, BREAK-IN, HOW TO RIDE, Daily Safety Checks, Fuse, Breaker, General Lubrication, Cleaning, Bolt and Nut Tightening, STORAGE, Preparation for Storage, Removal from Storage, TRANSPORTING THE ATV, TROUBLESHOOTING GUIDE, OWNER SATISFACTION, ENVIRONMENTAL PROTECTION, MAINTENANCE RECORD and much more!